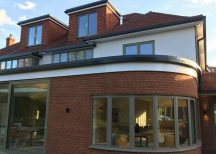 Kennett Brothers Ltd is a roofing company who also build and refurbish premium quality family homes, providing a blend of style and practicality. 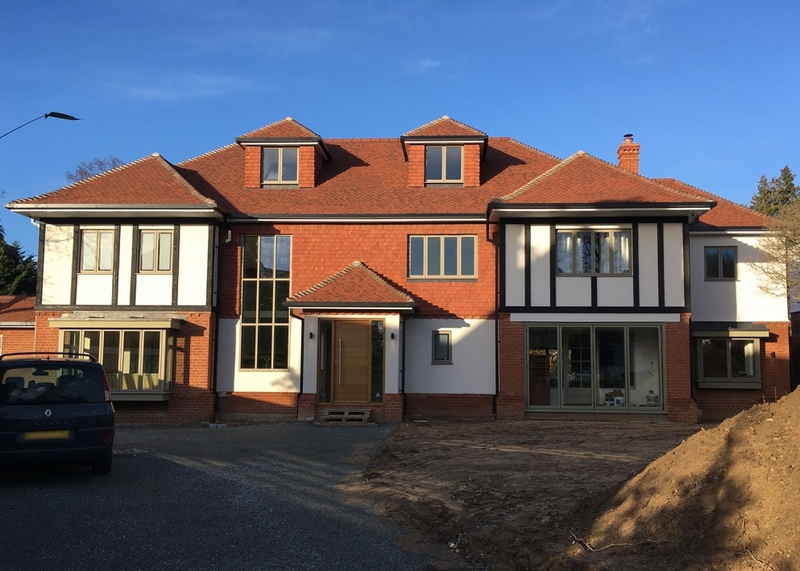 Their latest project involved major remodelling of an existing property in Sevenoaks, Kent. 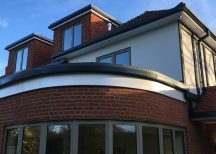 The client’s main challenge was to find a rainwater solution that dispersed the rainwater effectively and fit the curved fascia detail on the newly built orangery extension. ARP’s Legion pressed aluminium box gutter and Colonnade aluminium flushjoint downpipes, both Polyester Powder Coated (PPC) in RAL 9005 black matt finish were the products chosen and samples of the product and PPC colours were supplied to the client, so he could be assured of the quality. 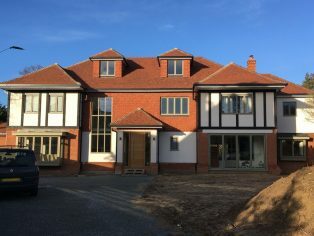 David Capel, ARP’s Area Sales Manager visited site once the fascias and roof had been completed so that a template of the radius could be taken, and a full site measure of the site could be carried out. Drawings were then produced by our in-house CAD team for the client to approve. Templates were made and laid out on the roof so that Eric could check to make sure they were accurate. “I am very pleased with the colour and look of the gutters and the way they blend into the fascia, in particular, the curved guttering on the Orangery. You would not know the gutter was there”. Aluminium is the ideal material choice for rainwater systems, as it is strong and can be easily formed for bespoke projects. Sustainable and non-corrosive, the aluminium used to produce box gutters is fully recyclable and expected to last in excess of 60 years. 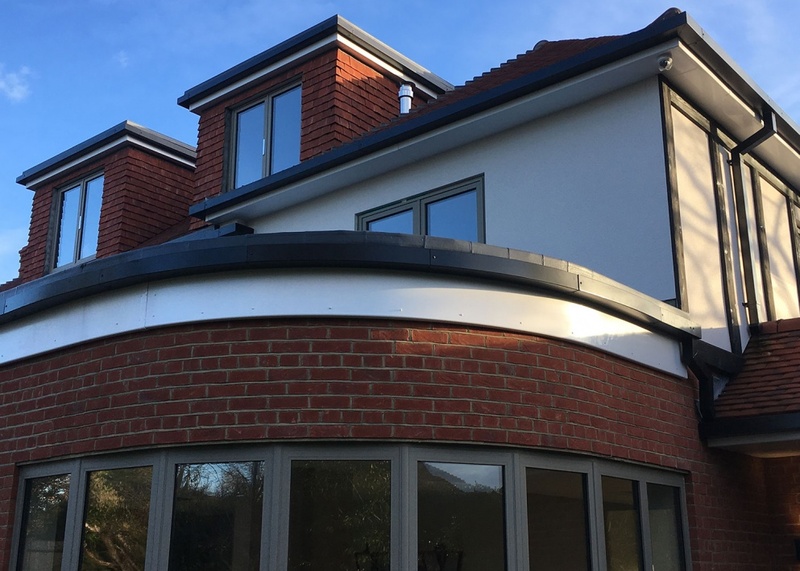 At ARP we take pride in offering a quality solution for all your roofline and rainwater challenges and as this project shows, we will work with you to fulfil your requirements.